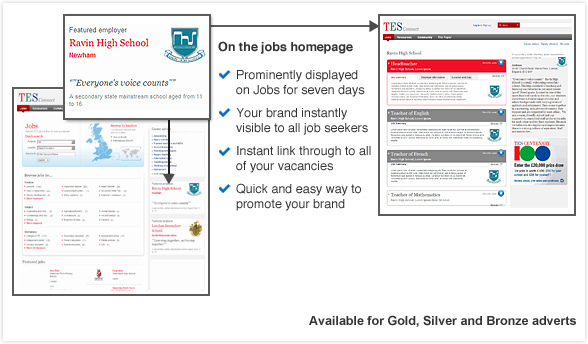 Branded and prominent position on TES Jobs. Expose your employer brand to 65,000 job seekers every day with this exclusive position on TES Jobs. 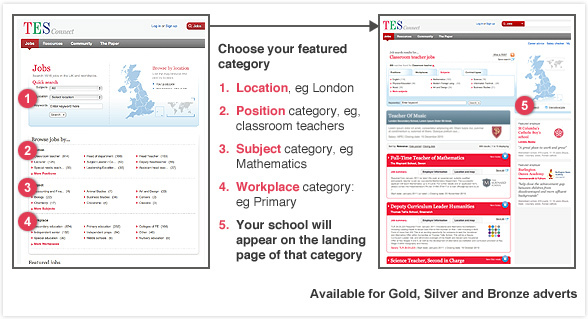 Promote your school brand and provide instant access to all of your vacancies with one click. TES Connect and make the most of our weekly online audience of 356,000.